The year 11 Performing Arts Academy students went out to the local Kawerau primary schools to perform their 'Theatre In Education' pieces last term. They had to devise a drama performance that taught the primary school kids something. The performances taught things such as using the correct rubbish bins, using manners, telling time, tying your shoes and not to judge a book by its cover. 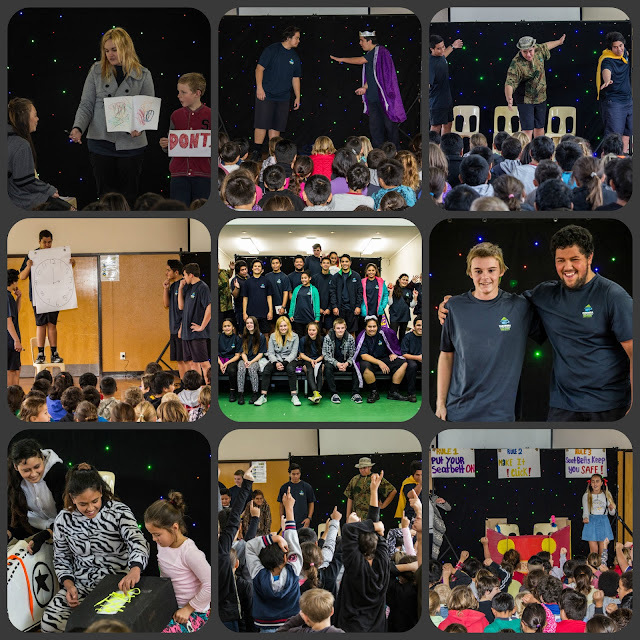 The school kids at Putauaki and Kawerau South School loved the performances and joined in with the audience participation with lots of enthusiasm. It was a great day, below are a few pictures thanks to Anneke Hepi.